I have a 4200, 3 years old with 290 hours. Last fall I experienced hard starting when cold. When I turn the key, the engine would catch then die. I would then crank and nothing! It was like no fuel getting to the cylinders. I changed all filters (fuel, air, etc.) but it happened several more times before the end of the mowing season. (I do not use this machine in the winter). Well here we are a year later and the exact thing is happening again. I finally figured out that if I let it sit for 2 minutes after the failed start, it starts right up and runs fine. I even changed the oil, thinking it was too thick. I tried starting it this past weekend (it was 75 deg.) and it happened again! I am puzzled! 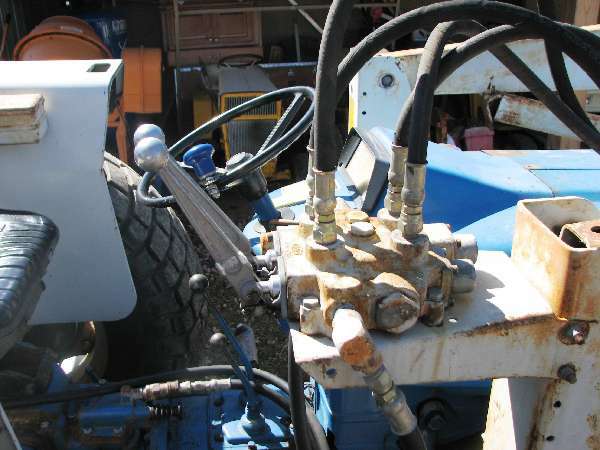 I'd check the battery with a hydrometer and clean all terminals and the chassis end of the ground cable. Then, I'd try a little longer pre-heat and cracking the hand throttle a little more when starting. Last winter I improved my starter by cleaning up the terminals on the line from the battery to the solenoid but my Ford has had a few years for the terminals to get dirty. Hope these simple tricks solve the problem. You might give it a fresh tank of fuel if it still acts up. 2. Clogged or cracked fuel lines- clean or replace? 4. Fuel volume to injection pump low-check or replace fuel tansfer pump. The steps after the above get pretty unlikely. Try looking at these areas. I would strongly suspect the fuel filter being contaminated and impeding fuel flow in colder weather as the fuel becomes thicker and more difficult to pass through the filter. Do you use a good fuel additive? Once you get the problem fixed, I would strongly suggest you do if not already. I posted a reply earlier and went back to edit and hit delete by mistake and had to start over. Most all engines have a way they can be started with ease, some just don't start well at all. There haven't been to many complanints of these tractors for starting yet unlike there american fathers before them but it sounds like you might have a small air or fuel leak at best leaving a gap in the fuel train. I'd keep trying your new found secret to prove it right as well as review your owners manual to verify your procedures for starting as being right.